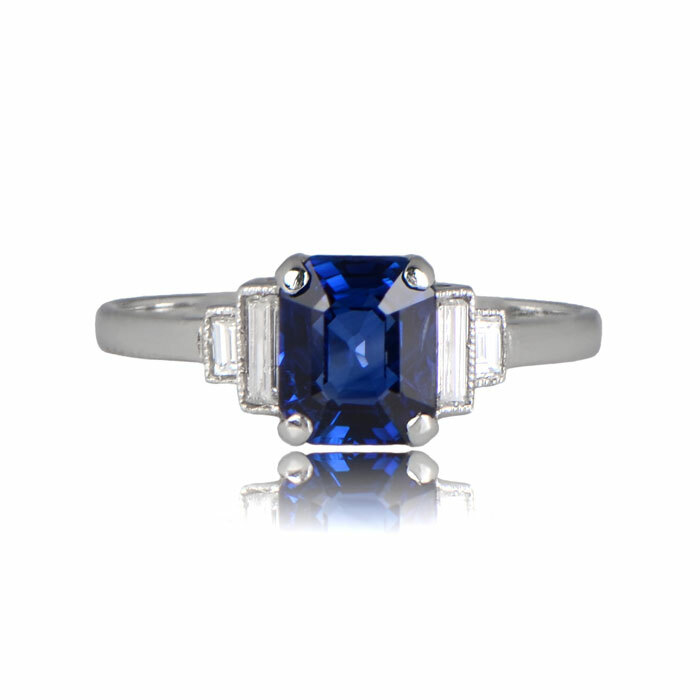 A stunning sapphire engagement ring showcasing a splendid 1.50 carat square cut natural sapphire. 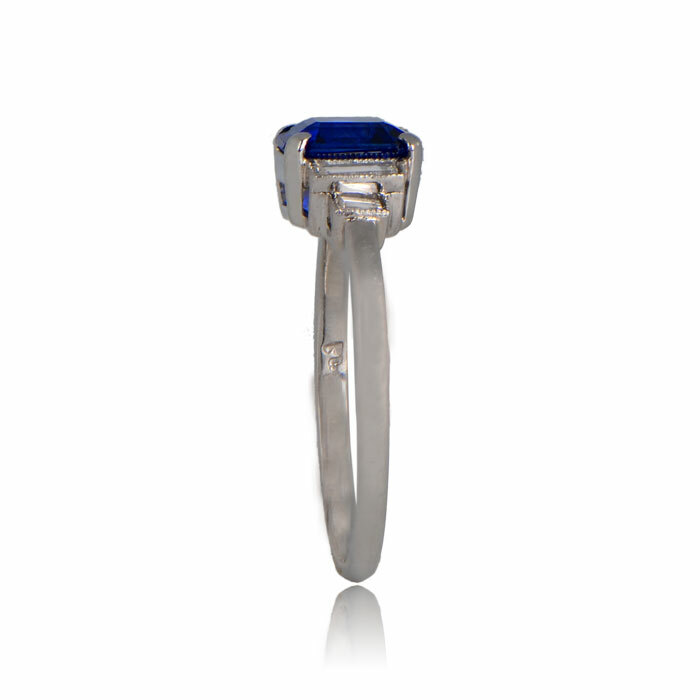 Along each shoulder, and at each side of the prong-set sapphire, are baguette-cut diamonds. 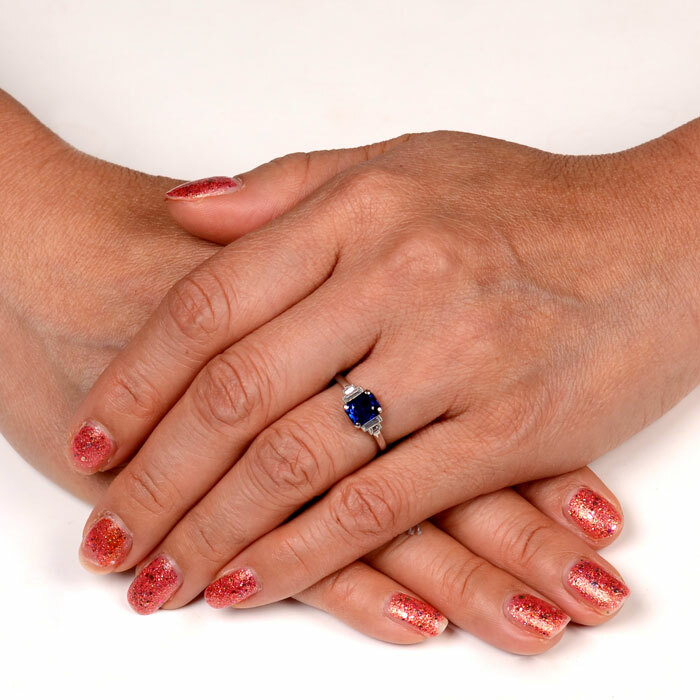 The center sapphire displays a deep and vivid sapphire. 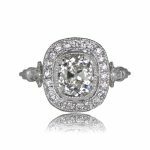 This ring is hand-crafted in platinum. Please send us any questions. We will reply as soon as possible. 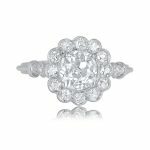 SKU: gs306 Categories: Diamond and Sapphire Engagement Rings, Sapphire Engagement Rings, Vintage Engagement Rings - Contact us and request additional pictures.